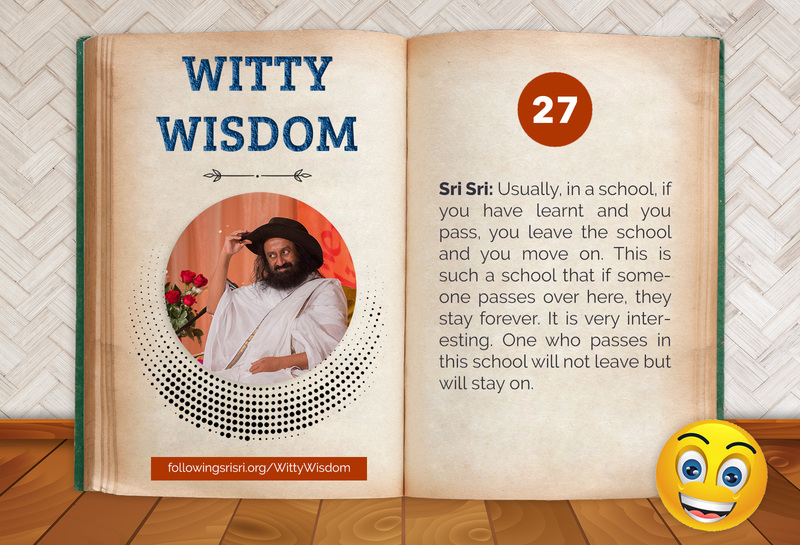 Gurudev Sri Sri: Usually, in a school, if you have learnt and you pass, you leave the school and you move on. This is such a school that if someone passes over here, they stay forever. It is very interesting. One who passes in this school will not leave but will stay on.